Update: A brief point of clarification here, my wording of “new activations,” does not mean new subscribers, just customers activating the iPhone. No breakdown was provided between new and existing customers, but I’m betting the overwhelming majority are existing customers. I’m listening in on a live conference happening at the Citi Global Internet, Media and Telecommunications conference in Las Vegas right now where T-Mobile CEO John Legere just dropped some interesting stats on the iPhone. With the numbers Legere mentioned, it’s easy to imagine that T-Mobile is eager to get their “Apple Product” deal rolled out as soon as possible. Legere further mentioned that the company currently serves 1.9 million iPhone devices and is adding 100k new devices every month. Mind you, it was back on December 6th that T-Mobile mentioned they were currently serving 1.7 million iPhone devices. That’s a 200k jump in 30 days. Yup, no demand for the iPhone at all. ← Rumor: T-Mobile Stores Receiving Nexus 4 Inventory As Early As Tomorrow? Does that mean the iPhone won’t be officially on TMo until 2014? I’d doubt that but obviously we will have to take a wait and see approach. I hope you’re right, but the “bring products to market next year” and the “starting in 2014” in the last bullet freaked me out. That bullet point references the financial impact of the deal, nothing more. Nothing to do with a release date. If you’re talking about the slide, no. That image is from a investors conference in December, so “next year” is referring to 2013. I’ve removed the slide, it was from the investor conference in December. No idea why its in this years slide. As long as adding iphone to T-Mo doesn’t hammer network data performance, then go for it. I was seeing better signal quality in Austin before the 1900 upgrade. There were really good speeds with my SGll so I can’t say there is a performance boost. Yesterday wasn’t good for data and after I did everything tech support wanted they put in a ticket to the engineers. It was connecting to the “4g” signal but data speeds were between 220-370kpbs. Hopefully it just a matter of tweaking the area’s once they turn on the upgrades. Or perhaps when they launch a new area not all of the towers are upgraded at once. These little hiccups I’m seeing could just be the other towers getting the equipment. Anyone know the method they use when choosing which sites get updated in an area? Hey, think there will be anywhere we can watch TMobile’s press conference in a live stream later tonight? Maybe, they haven’t streamed them in recent years if I recall correctly. Does he really mean TMobile’s network (MVNO)? I seriously doubt that people are going to flock to Tmo when most carriers already offer the Iphone and those that leave are setting with MVNOs like Net10 and Simple Mobile. 100,000 activations per month of a device your company doesn’t even sell is extremely impressive. Looks like with the refarming, more people are willing to bring their iPhones over to T-Mobile even without a subsidy. I will try my 4S if is wifi calling supported, and off course having at least 3G. 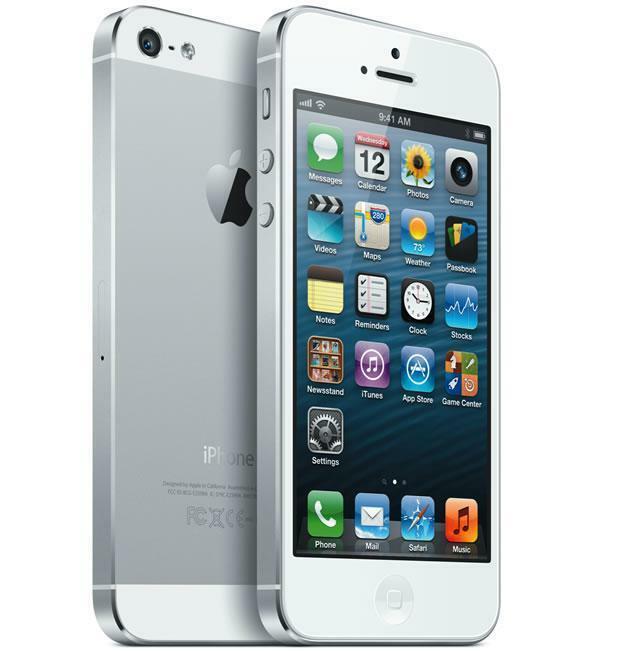 normal people love the iPhone .. it’s still very much the “it” phone for most young women and older adults. Well, I already know from a lot of people that they prefer an iphone over android phones because they indicate that feels easier to use it. I didnt say anything about intelligent people… People without knowledge dont mean that they are stupid or people with knowlegde dont mean that they are intelligent… Learn the difference between knowledge and intelligence first before typing. You can interchange either and my argument is still valid. Just because you choose one cell phone over another doesn’t make you more knowledgeable or intelligent about “smartphones or computing technology” or anything for that matter but apparently you seem to think so. Do you know why people like things that are easier to use? Because they don’t want a headache when they use it. It has nothing to do with being knowledgeable or intelligent. I a fan of apple (using ip4s). 1) would have bought a ip5 but no LTE. 2) Would have gotten the cellular iPad but would have cost alot on my plan. (att is only $10 a month). T-Mobile future is bright, with the iPhone and LTE coming, T-mobile is finally catching up to the att and Verizon. Even when T-Mobile starts selling the iPhone I won’t get one. The Samsung Galaxy S phones are a lot better than iPhones. I can’t wait for the Samsung Galazy S IV to come out in April! Nice try, Sam Sung rep. They are way better than the iphone because apple has no more innovation. The man with innovation died and after two years their customers has begun to see it. signals are not good in stores and malls and buildings but when outside full bars why is that? I get 3 to 4 bars in my local store…is your store like deep in a building? Wow this is amazing. The iphone just might turn things around for the Big T.
Of course the iphone would be in demand across T-Mobile customers, it’s one of the leaders in Mobile phones throughout the world and more important the USA. T-Mobile did right by changing their front man, he says what is on his mind and I like that. T-Mobile this time next year will be the # 3 Carrier working hard at being # 2. I have an iPhone 4 hand-me-down from my Son. I usually only use data on WiFi, but I’ve started seeing more re-farmed G3 in my area now (Portland, OR). If you would like to check on G3 coverage in your area go to the web site: www dot airportal dot de. With the new LTE iPhones being made available, I see T-Mobile enjoying this technology too.